3D printing is revolutionizing the orthotics and prosthetics (O&P) industry. Find out why companies and physicians are turning to this technology to create devices for their patients. It is a terrible feeling. The pair of shoes you love, but pinches because they do not fit perfectly, or glasses that are great, but press too hard behind your ear. Consumers have grown used to imperfectly fitting products. Though frustrating and mildly painful, this ill-fit takes on a whole other meaning when we look at medical devices like prosthetics and orthotics. Amputees suffer with chronic pain, the inability to carry out daily tasks, because of devices that are not tailored to their anatomy. The entire production process and high cost often only add insult to injury. 3D printing technology has the potential to change this all-too-familiar and frustrating reality by creating affordable custom prosthetics and orthotics faster than before. Orthotics and prosthetics (O&P) is not a niche market. Though definitive figures for prosthetics and orthotics patients are hard to come by, a look at existing numbers paints a clear picture. In the United States alone around 2 million people live with limb loss. This figure swells to a staggering 40 million in developing countries. 3D printing affords “two-way benefits: companies gain an advantage through efficient manufacturing while patients receive personalized products that work better” (Ernst&Young). For smaller practices, the ability to use technology to automate certain parts of the manufacturing process can mean more time spent with each patient. 3D printing represents one aspect of the digital manufacturing ecosystem. This ecosystem includes technology like 3D scanning and software and is embedded in larger transformations like the IoT and cloud computing. Ultimately, digital manufacturing will revolutionize the O&P industry not only in a technological, but also in a very human way. Creators of these devices will be better able to fulfill the needs of their patients, tailoring prosthetics and orthotics to an unprecedented extent. 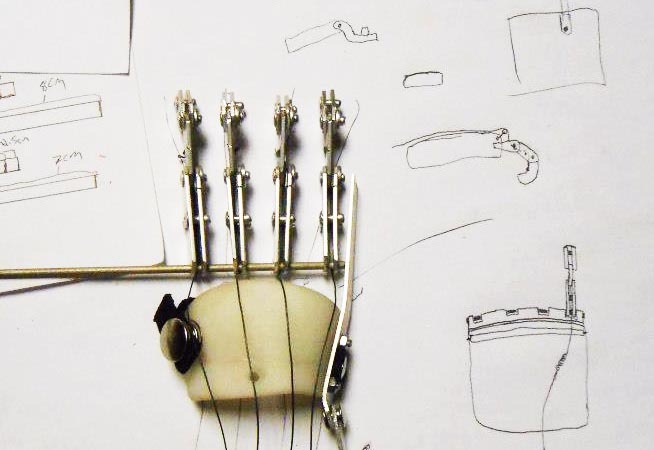 And users will be more meaningfully integrated in the creation process, which could help improve acceptance of and identification with their new limb. The benefits of 3D printing technology are innumerable, we thought we would take you through the 3 most important for producers and users. 3D printing and customization were made for each other. By combining 3D printing with other technology, like 3D scanners and modelling software, prosthetists can create perfectly customized devices. One way this is possible is by removing room for human or material error. For example, the conventional method for casting an ankle orthotic would be to create a plaster mold of the patient’s foot and leg. But as plaster dries, it shrinks, which means the physician has to work with imperfect data. The problem with imperfect data is that it can lead to bad fit, where it matters most. Of a prosthetic it is perhaps most important that the socket, the part that holds it in place, is tailored to the patient. Inspired by the potential of technology David Sengeh of the biomechatronics group at MIT Media Lab is working on combining digital scanning tools and 3D printing: “computer-aided design is combined with an engineering technique called finite element analysis to predict which internal pressure points on the residual limb could most comfortably bear the load of the body’s weight” (The Atlantic). Finally, the socket form is designed by an algorithm. In this new age of manufacturing 3D printing and digital measurement will ensure that the perfect fit is achieved every time. Of course cost is an important factor for both medical practitioners and users. Welcome news, 3D printing will reduce production and the final cost for these necessary medical devices. In part this is because 3D printing technology relieves or eliminates previously labor-intensive tasks. For example, the Canadian orthotics company Wiivv is using a digital platform and 3D technology to produce less expensive insoles. Wiivv’s “Customers use a smartphone app to scan their feet, with the insoles costing around US$75. This enables customers to make all their shoes more comfortable, at a cheaper price than conventional medical insoles” (Ernst&Young). 3D printing also lower costs by reducing production waste. Additive manufacturing successively adds layers of material to create an object, rather than cutting material away, that then cannot be used. There is also less room for error, as objects are “assembled directly from a digital model” (Harvard Business Review), which further cuts down on waste. Getting people into their personalized prosthetic or orthotic device quickly is very important. It can make all the difference in their ability to attend school, go to work, start rehab, and build their strength. 3D printing enables physicians and manufacturers to quickly iterate an orthotic or prosthetic device. A process that can be largely automated the design and production can drop from (in extreme cases) months to days. Physicians and small companies alike are turning to 3D printing and other digital technologies to cut production times. Although this massive change in production methods could mean re-training for many in the field, it brings important benefits. Not only will physicians have more time to spend consulting their patients, but patients’ frustration with long wait times will also be alleviated. 3D printing technology has and will continue to change the entire O&P industry. At first glance the change seems to be on the surface, prosthetists are merely updating the tools they use in their daily work. But in fact, 3D printing cuts right to the core of this industry, laying bare the struggle consumers have faced because of a reliance on standard products. Thanks to 3D printing we have entered a new age of product creation, one that tailors essential devices, like a prosthetic, to the user rather than the other way around. Image 1: courtesy of e-NABLE.